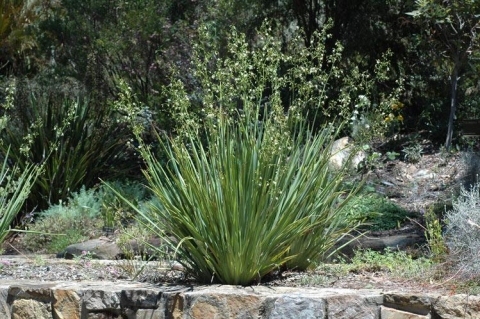 Blue flax lily is an evergreen, stemless, clump-forming perennial plant with sword-like leaves, growing 80cm or more tall. The leaves are gathered from the wild for their fibre and use in basket making. Australia - New South Wales, Victoria, Queensland. Found in a range of climatic conditions from the warm temperate zone to the tropics.